Ali Nejat (Ibrahim Celikkol) is a young businessman who comes from a wealty family. Years ago, he was involved in a car accident due to his passion for high speed and caused the death of his little nephew. After this tradegy, Ali Nejat never forgives himself and cannot become close to his family ever after. 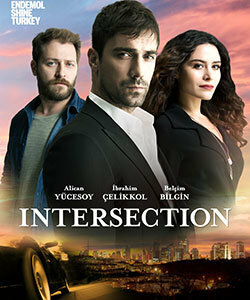 When Ali Nejat goes to Italy for a business trip, he meets a talented young doctor Naz (Belcim Bilgin) who saves the life of his close friend at the restaurant. Naz unfortunately misses her flight to Istanbul in order to take care of Ali Nejat’s friend and these two have to return to Istanbul together.